If your heating and cooling duties demand higher pressures, it’s time for your business to demand a higher standard of technology. 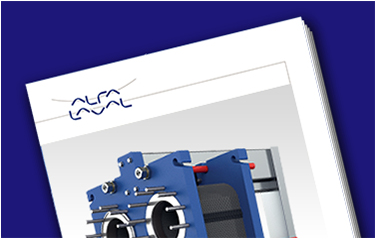 Discover total reliability and efficient thermal performance with the Alfa Laval range of semi-welded heat exchangers. Businesses with high-pressure heating or cooling demands have long been forced to rely on low-efficiency shell-and-tube heat exchangers or fully welded technologies that can crack after repeated stress cycles. But all that is about to change. Thanks to groundbreaking innovations, Alfa Laval has developed a new generation of semi-welded heat exchangers that provide reliably high thermal performance even in the most demanding applications. Alfa Laval’s flexible semi-welded cassettes also offer improved fatigue resistance to handle a much higher number of pressure and temperature cycles than fully welded alternatives. The end result is the safest, most reliable, and most energy-efficient technology available for heat pump and cold storage duties. The latest addition to the high-performing family is Alfa Laval Industrial semi-welded T10-EW, taking pressure- and temperature resistance to a whole new level. 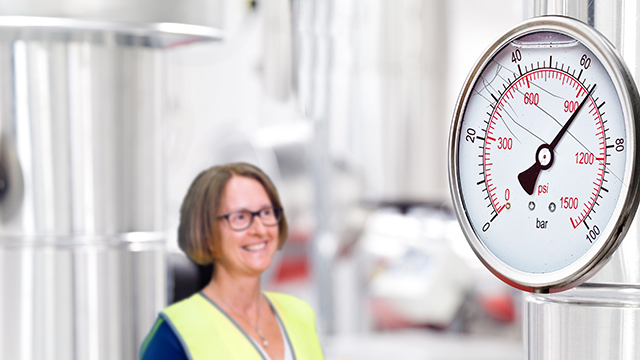 For cascade systems used in industrial chiller applications, Alfa Laval’s compact semi-welded heat exchangers mean even higher efficiency and reliability when using environmentally friendly, low-GWP refrigerants. Our next-generation units can perform with a far lower ammonia charge when operating with CO2 as a secondary medium, and the proven RefTight™ sealing system prevents the risk of cross-contamination. Along with the increased fatigue resistance of Alfa Laval’s semi-welded cassettes, these features ensure safe and trouble-free operation under a long equipment lifecycle. 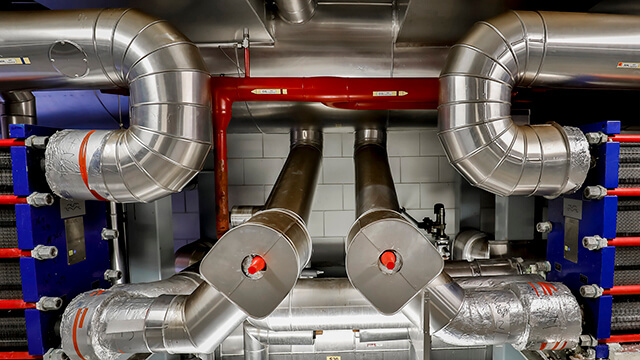 Industrial heat recovery applications are creating new possibilities for increasing both sustainability and profitability. 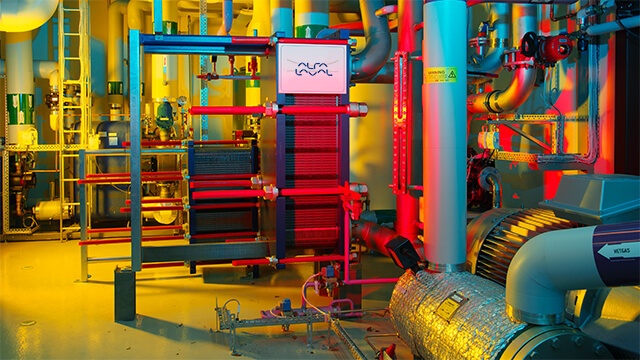 And Alfa Laval semi-welded heat exchangers are creating new possibilities for industrial heat recovery. Next-generation advancements for improved efficiency and reliability translate to a dependable solution for reducing energy costs. Unique features for improved plate strength and thermal transfer allow Alfa Laval’s semi-welded technology to provide improved thermal performance in a wide range of demanding heat pump duties. From district heating and data centres to chemical plants and mechanical industries, no other solution on the market can match their reliable efficiency. Learn why refrigeration experts Bort de Graaf have chosen Alfa Laval semi-welded technology for their CO2 cascade systems. In addition to providing reliable protection against leaks, next-generation features like CurveFlow™ ensure the market’s highest thermal performance. For over a decade, Dutch coffee giants Douwe Egberts have successfully relied on Alfa Laval’s semi-welded technology for cooling instant coffee. And with help from contractor ENGIE and Alfa Laval’s trained service experts, a smooth reconditioning process was all they needed to get another 10-15 years of like-new performance. 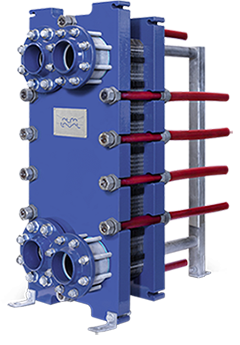 Like all of Alfa Laval’s next-generation plate heat exchangers, our semi-welded models are filled with ground-breaking solutions that set new standards in thermal efficiency, mechanical reliability and ease of serviceability. Enables enhanced, long-term performance in applications with high pressures and temperatures. The weld is positioned outside the separate ring gasket groove, ensuring reliable sealing as well as extended gasket lifetime and prolonged service intervals. Offers superior fastening to the plate. Not only do the gaskets stay in place better than before, but they are also easier to mount in the first place. The unique design prevents snaking of plates at closing and the tangling of new gasket sets. Maintenance of the heat exchanger goes faster, plates and gaskets last longer, and you save money as a result. Optimizes the flow of media for better utilization of the whole plate surface. Improving the flow with more even distribution eliminates dead spots, providing higher thermal efficiency with reduced risk of fouling. This in turn means energy savings, lower maintenance costs and less time worrying about unplanned stops. Contact us to learn more about your options or to get advice from our experts about which gasketed plate heat exchanger is the best fit for your business.